Risky business of overseas ‘jobs’ , Don’t get conned, Malaysians warned ! The promise of lucrative salaries are luring many Malaysians abroad but most are scams leaving these job seekers cheated and in need of rescuing. IT is ironic that at the same time there is an ongoing crackdown on illegal immigrants in the country, Malaysians are being detained in countries like Cambodia, South Korea and even Liberia. 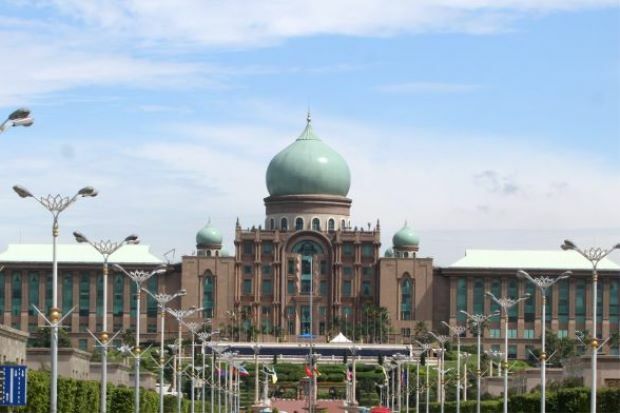 These detentions have increased in frequency to the extent that Wisma Putra has issued a warning to “remind all Malaysians to be cautious of opportunities offered in foreign countries, and always verify the prospective employers”. It used to be that foreigners (read: South Asians and South-East Asians) were drawn to Malaysia’s booming property and service sectors for better paying jobs. They still are. On Monday, as part of operations codenamed Ops Mega 3.0, some 73 illegal immigrants, from Bangladesh, Indonesia, India, Pakistan, Sri Lanka and Myanmar, were held by the police under the Immigration Act. These foreigners were working at the Selangor wholesale market without proper work documents. But how times have changed. The roles appear to be reversed, the Malaysians that have been detained overseas were for exactly similar offences – no proper work documents. This time last year, The Star’s Bahasa Malaysia news portal mStar Online revealed that there was an estimated 5,000 Malaysians working and staying illegally in South Korea. The less fortunate ones were forced to live like refugees, always on the run from the authorities. These Malaysians were lured by job advertisements that claimed they could earn a lucrative living in the land of K-pop. They paid recruitment agents thousands of ringgit in fees and entered South Korea with tourist visas. Some of these Malaysians interviewed by mStar spoke about the hardships they faced including poor living conditions, tough working environment and employers holding back their salaries. The Korean police and its justice ministry have begun cracking down on these illegals, starting from last month. Those without proper documentation will be immediately deported. But Malaysians never learn. Two recent cases highlight the need for employees to be more vigilant and for the authorities to crack down on fly-by-night recruitment agents. First, the case of the 47 Sarawa­kians who were detained in Cambo­dia since Dec 11 last year on charges of cheating and initiating and carrying out illegal online gambling activities. It was reported that the Malay­sians were promised jobs with lucrative salaries up to US$1,500 (RM6,100), and only found out that it was a scam when they arrived in Cambodia. Their plight was highlighted in local media, and Wisma Putra, other leaders and representatives from Sarawak flew to Cambodia to secure their release. They were finally released on Feb 15. The second recent case also involved Sarawakians. Eight of them were left stranded in Monro­via, Liberia, since Feb 4 after being offered logging jobs with wages up to RM9,000. They were left stranded in the African nation without any money, and managed to survive because they were given rice by Malaysians working with Sime Darby in Liberia. “If not for the rice, we would definitely be dead,” said Aji Surau, 39, after arriving at KL International Airport on March 4, one month after their ordeal. He said they were abandoned in a house with no water and electricity and even resorted to eating papaya leaves to survive. All these cases have one thing in common – dodgy job syndicates. These unscrupulous agents rake in thousands of ringgit by promising the world to gullible locals. “I want to advise Malaysians to be cautious when getting job offers overseas because this is not the first such incident. “Check with the authorities concerned, especially the Malaysian representatives, whether the company offering the job is legitimate or not,” Foreign Minister Saifuddin Abdullah told reporters after the Liberian detainees were released. The Cambodia and Liberia incidences appear to be genuine cases of people who were promised legitimate work contracts. But for every genuine case, there are five others who play the “victim” card. In some countries where Malay­sians are caught working illegally, they claimed that they were lured there with guarantees of proper employment with legal documentation. But the reality is that these people went overseas on tourist visas with the sole intention of getting a job, by whatever means. Did you know that Malaysians are the worst visa abusers when it comes to overstaying in Australia? According to a 2018 report from the Australian Department of Home Affairs, there were 62,000 people overstaying their visas and living illegally in Australia, with Malay­sians making up the largest number. Between 2016 and 2017 alone, 10,000 Malaysians had overstayed! As a result of this blatant abuse of tourist visas, the Australian authorities have made it harder for Malaysians to enter the country. Australian-based news site news.com.au quoted a source from the Malaysian mission in Australia as saying that more Malaysians are being turned away at the airports, despite having the necessary visas approved before departure. These visa scams are not only giving us a bad name, but also making it more difficult for genuine Malay­sian tourists to visit Australia. The latest “tourist” scam is via social media where syndicates are luring people to become drug mules by offering them cash and opportunities to go for tours abroad. But beware, if you’re caught deportation is the least of your problems. A stiff jail sentence or even the death penalty awaits. he’s a resident of Kuala Lumpur. From “interviews” in coffeeshops to being persuaded to work in war-torn countries with lucrative salaries, Malaysians are being increasingly conned into travelling to work overseas, only to run into trouble. This has prompted the Labour Department to advise those wishing to work overseas to only use the services of licensed private recruitment companies. Seeking the services of licensed private job agencies under the Labour Department as provided in the Private Employment Agencies Act (1981) would help one avoid being conned or exploited by unscrupulous agents or employers overseas, it said. “There’s a possibility that high salaries offered has become a pull factor in enticing Malaysians to work overseas. “The Labour Department is always carrying out enforcement activities under the Private Employment Agencies Act (1981) to monitor the activities of illegitimate agencies and agents,” it said in response to questions by The Star. The Labour Department, which is under the Human Resources Minis­try, was responding to queries about the increasing media reports highlighting Malaysians being conned in overseas jobs. While the Labour Department said it did not have any records on the numbers of overseas job scam cases affecting Malaysians, it encou­rages those with information on such cases to come forward. 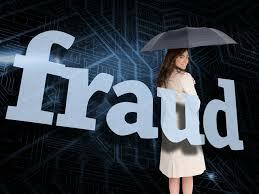 “We have not received reports on job scams. However, victims can file a report with the Labour Department, including in Sabah and Sarawak for any job scams issues so that we can act accordingly,” it said. MCA Public Services and Com­plaints Department head Datuk Seri Michael Chong said many of the job scam victims he encountered were enticed to work in Afri­can or Middle Eastern countries. “Many of these countries are war-torn and so these ‘employment agents’ would tell the victims there is a lot of construction work to rebuild the country. “These victims are mostly semi-skilled or unskilled workers who are attracted to the salaries which are supposedly from RM6,000 to RM10,000 a month,” he said. However, he said, these victims were then cheated out of their salaries and left with little to no protection in a foreign country. 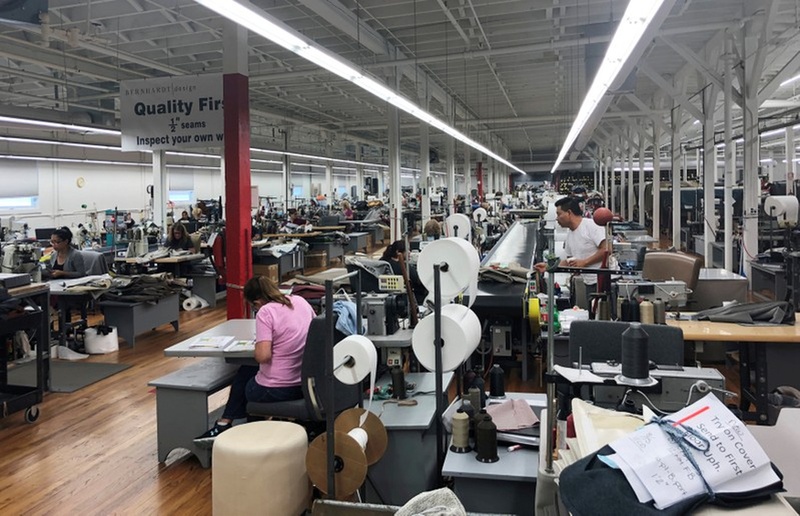 To stop these scams from occurring, he urged those interested to find work to carry out background checks on the company. “You must make sure that there is an incorporated company so if anything happened to you, there is a company we could look for,” he said. He also advised people to be wary if the salary offered is too good to be true, or if the job interview doesn’t take place in the company’s office. “There are some ‘interviews’ which are even being conducted in coffeeshops,” said Chong. He said he noticed more of such cases in recent years, especially as many Malaysians want to go overseas to eke out a livelihood. Last December, 47 Malaysians were detained in Cambodia for being involved in illegal online gambling activities. It was reported that they were offered jobs with lucrative salaries but had only found out that it was a scam when they arrived in Cam­bo­dia. In February, eight Sarawakians were stranded in Liberia after allegedly being cheated by an employment syndicate. The Malaysian Em­­ployers Fede­ration called for a dedicated government agency to help protect the welfare of Malaysians who go overseas to work. 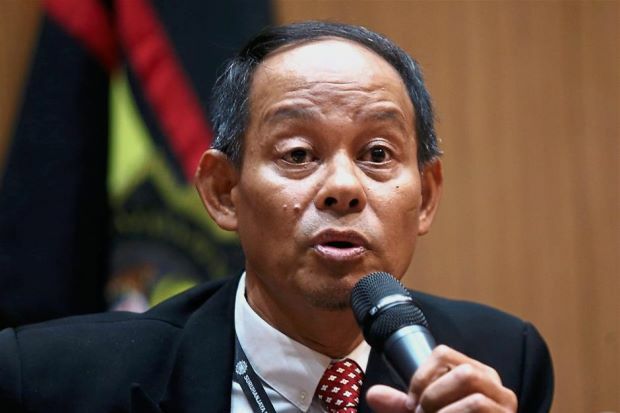 Its executive director Datuk Sham­suddin Bardan said this was to prevent them from being exploited and falling prey to illegal job syndicates. “We have more than one million Malaysians working overseas but we have no proper body to monitor their affairs,” he said yesterday. He noted that the Filippine government would ensure that their citizens who are sent overseas to work are properly trained and that they are employed by a legitimate company. “The Filipino government would ensure that there is a proper document signed between the employer and agent, and if anything happens to the worker, the agent will be held responsible. “We should emulate the Philip­pines to help our workers who aspire to work overseas,” he said. However, he said the grim reality was that many Malaysian workers were enticed to work overseas because of the attractive pay, even if the details surrounding the employment were unclear. “Employees are attracted to the higher wages offered in those countries, where the income promised triple or even quadruple what they are earning in Malaysia – and most of these jobs do not require high level of skills such as picking fruit. “A difficult economic situation in Malaysia with the rising costs of living also contribute to the problem. “We must re-look at our employment practices, how we remunerate our employees and develop our talent,” he said. 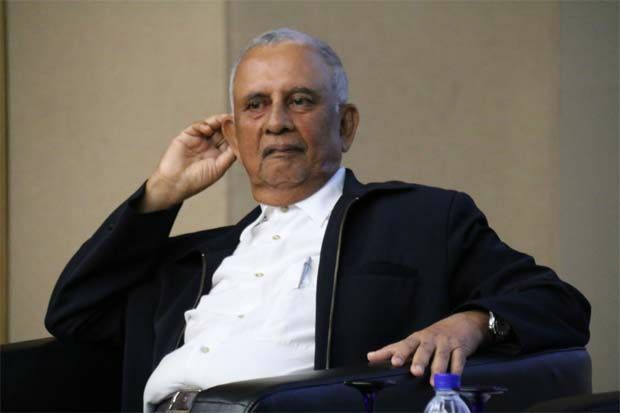 Malaysian Trades Union Congress secretary-general J. Solomon agreed that better policies and enforcement were needed to monitor the outflow of Malaysian workers to other countries. “The authorities and their relevant agencies need to know where Malaysian workers are going when they travel overseas,” he said. He said tighter enforcement was especially needed as more false job advertisements were disseminated easily on various social media platforms. “It is high time the Cabinet review and encourage companies to comply with minimum wage level,” he said. The low wages in Malaysia and the stigma of 3D (dirty, dangerous and difficult) jobs cause Malaysians to desperately seek employment outside the country, he added. “These factors are causing Malay­sians to go elsewhere to find alternative sources of income,” he said. A RM53mil road in Balik Pulau no one wants, now a township will be taking shape there on dangerously unstable mangrove swamps, and the Penang govt isn’t aware of it !! Ongoing work: A general view of the road project linking Kampung Sungai Pinang to Kampung Pulau Betong. BALIK PULAU: The government’s move to build a RM53mil road linking Kampung Sungai Pinang in the north to Kampung Pulau Betong on the south-western end of the island has got local folks fuming. Fisherman Wan Mohizan Wan Hussein is one such person. The 52-year-old said the project would threaten Balik Pulau’s image of being “one with nature”. “It would be better to spend the money on flood mitigation in the area,” he suggested. “If it rains for two hours straight, there will definitely be flooding. That’s something that should be addressed,” he said. Wan Mohizan said furthermore, the new road would be built along an existing narrow dirt trail and he felt that prices of land in the vicinity would increase. “What if developers start coming here and offer to buy Balik Pulau farmland for development? Can we stop them? “This side of the island is flat and easy to develop. The road can change Balik Pulau,” he said. Balik Pulau is the “last hinterland” of Penang island, a flat farmland of about 1,000ha with narrow dirt trails. For the first time since Penang was founded in 1786, this land on the island’s rustic eastern side will get a two-way tarred 10.2km road stretching almost the entire north-south length. But the road construction has left many wondering why this road was being built through mangrove swamps, padi fields, shrimp ponds and oil palm estates. Another fisherman, Mazlan Sahib, 48, said the new road was unnecessary and it would only welcome over-development. “There are hardly any residents living there so it doesn’t make sense to have it at all. “The project might also be a threat to the mangrove swamps along the coast,” he added. Balik Pulau’s Simpang Empat resi­dent Zainudin Ahad wondered why the government planned to build a new road when the existing Jalan Baru that ran parallel to the new road about 3km away never experienced traffic congestion. “I thought we need new roads only when existing roads are congested. “The only traffic jam we get in Balik Pulau is in the town itself. “There is never any traffic jam in the kampung area, so why give us a new road?” Zainudin questioned. Kuala Sungai Burung Fishermen’s Association committee member Abd Malik Man, 55, said there was talk about the road project since the Barisan Nasional government. “We thought that the project would be shelved. I didn’t think the new government would go ahead with it,” he said. Abd Malik said many residents in the area around the new road were living or farming on government land and their leases might be over soon. “The government has all the right to develop the land but the long-term impact should be taken into consideration,” he cautioned. Even Balik Pulau MP Muhammad Bakthiar Wan Chik was dumbfounded by the new road. 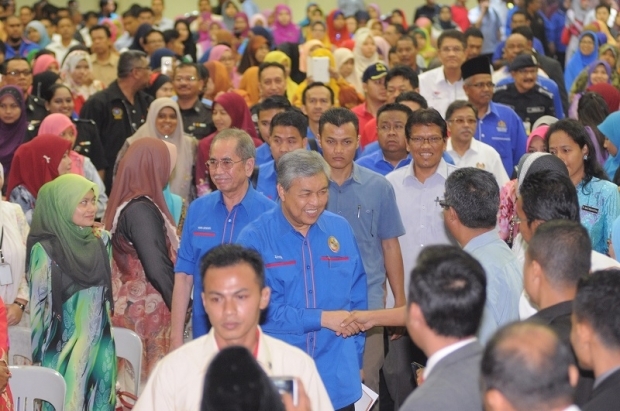 He urged the Rural Development Ministry to look into more pressing areas that need the funds, beginning with flood mitigation, a new hospital and traffic snarls in the heart of Balik Pulau town. “The new road is not top priority and does not serve much purpose,” he pointed out. “I hope the ministry will practise stakeholder consultation with the locals and hold town hall meetings to see what the residents want. “Neither the locals nor me knew that the road project was approved and the construction had begun,” he said. He also appealed to the ministry to foster entrepreneurial projects for Balik Pulau’s numerous cottage industry products including bedak sejuk (cooling powder, a traditional facial treatment product), nutmeg, otak udang (prawn paste) and salted eggs. BALIK PULAU: The state government had tried to stall plans for a new road in Balik Pulau’s coastal farmland by insisting on an application for planning permission. State Environment Committee chairman Phee Boon Poh said he had asked for realignment proposals of the road because stretches of this new road will run along the edge of the mangrove swamps. “When the 2004 tsunami hit us, the mangrove swamp saved Balik Pulau from the worst effect. “We also agree that the swamps are vital breeding grounds for the jumbo prawns that our inshore fisherman can catch when they are in season. “So we want the road to be away from the swamps,” he said. State Works Committee chairman Zairil Khir Johari said the requirement for an environmental assessment (EIA) impact report was initially done away with because the proposed road was to run along the existing dirt trail and the footprint was therefore too small to need an EIA. “If there is proof that a tarred road through the western coastline of the island will impact the environment, we will not hesitate to require an EIA,” he said. When told of the sentiments of the locals, a senior officer in the Rural Development Ministry declared that the ministry would immediately conduct a stakeholder consultation on the road construction. “We renegotiated the road project because it was first proposed in 2016 and we did not want any more delays. “But since there are signs that locals find the road unnecessary, we will go to the ground at once and find out what the Balik Pulau community wants,” the spokesman assured. It is understood that the budget for the road comes from the 10th Malaysia Plan in 2015 and the state was willing to surrender 11.5ha of land along the route without asking for the premium, which came up to RM18mil, for the 10.2km two-way street. Things changed after the general election when the Rural Develop­ment Ministry renegotiated with contractors and brought the price down to RM53mil from the initial ceiling budget that was over RM78mil. As is permissible for government projects, the state government subsequently waived the need for planning permission and state approval was given late last month. Rural Development Minister Datuk Seri Rina Mohd Harun visited the newly begun road construction last month. Meanwhile, cycling enthusiasts were disappointed that the new road would be built over a dirt trail that made up the Balik Pulau Eco Bike Trail. “This is a popular route for cyclists to enjoy some light off-road mountain biking across Balik Pulau’s rustic farmland,” one cyclist said. A netizen, Adrian Chan, also wrote on Balik Pulau MP Muhammad Bakhtiar Wan Chik’s Facebook page: “We already have Jalan Baru (a two-way street serving villages in Balik Pulau). Just upgrade or widen it. “We should keep the cycling trail. That is the only (rural) asset in Penang island. “Batu Maung, Bayan Lepas all gone with the concrete like Queens Bay. BALIK PULAU: While residents in Balik Pulau are unhappy with a new road being built, it has been revealed that there’s actually a proposal to set up a new township on this last hinterland of the island. A developer from Kuala Lumpur has promised farmers a payout of at least RM120mil to turn a strip of rural land on western Penang island into a township with nearly 600 houses, four blocks of high-rise buildings and two blocks of shoplots on top of community amenities. It wants to develop 36ha of oil palm estates along which will soon be a new road for which the Rural Development Ministry is spending RM53mil to build. When the road project was announced by the federal government last mid-December, many Balik Pulau residents were left wondering why the 10.2km road was needed along 1,000ha of oil palm land, shrimp ponds and mangroves, with hardly anyone living there. Even the state government is left dumbfounded and completely unaware of plans to develop this countryside. “This is something new to me. I don’t remember ever seeing a proposal to develop that area or to convert the land use. “We have got to find out what is being planned. Is the ministry building that road for the developer? “At first, we were unhappy that the road is being built right beside the mangrove swamp and we wanted another alignment away from it. “And now we find out a developer has plans to build a township there. “We will find out what is going on,” state Environment Committee chairman Phee Boon Poh told The Star, stressing that the road was a federal project and the state was kept in the loop about it on a “for-your-info” basis. In a filing to Bursa Malaysia on Jan 30, the public-listed developer announced that it has entered into a joint-venture development agreement with Koperasi Kampung Melayu Balik Pulau Berhad to build 276 terraced houses, 214 semi-detached houses, 91 double-storey bungalows, two 16-storey blocks of condominiums, two 16-storey blocks of low-cost flats, two blocks of retail shoplots, a school, mosque, community hall and other public amenities on land which the co-op owns. The 36ha is specified as being on Lots 254, 804 and 803 of the area. A check with the Malaysia Co-operative Societies Commission database shows that the co-op exists though no other information on its members are available. The developer guarantees in writing that the co-op will earn RM120mil, out of which RM45mil will be in cash payouts and the remaining will be given in the form of units built on the land. It will be an 80-20 joint venture between the developer and the co-op, respectively. The developer informed Bursa Malaysia that the gross development value of the joint venture deal is RM600mil. In its Bursa Malaysia filing, the developer specified that the deal is conditional upon the successful extension of the land lease to 99 years, re-zoning of the land use category, and approval of all relevant building plans. The current status of the land is unclear. For the first time since Penang was founded in 1786, the island’s rustic western coastline will get a two-way tarred road stretching almost the entire north-south length, from Bagan Sungai Pinang to Pulau Betong. The road was first proposed by the federal government in 2016 and initially, the state Town and Country Planning Department requested the Public Works Department to apply for planning permission from Penang Island City Council. The initial budget for the project was RM78mil and after the general election, the new government renegotiated with contractors and brought the price down to RM53mil. Earlier, state Works Committee chairman Zairil Khir Johari said that the state waived the planning permission requirement after being convinced that the footprint of the road, which will be built along an existing dirt trail that villagers have used for decades, would be small. The road construction began in December. BALIK PULAU: A mangrove ecologist has warned of the risk of development encroaching into mangrove swamps, and the risks are for people and buildings. 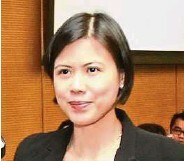 Dr Foong Swee Yeok predicted that the road or planned property development on the eastern coastline of Penang island would not endanger the swamp or wildlife. But she said the future road and buildings might suffer because the land on Balik Pulau’s coastline is all ex-mangrove swamp land, and there could be as deep as 25m of mud and clay down below. “Developers will know how to pile deeply until they reach the bedrock for high rises, but there is no piling requirement for two-storey homes. “You see nothing wrong in the first 10 years or so, but after that, things start sinking. “Roads become wavy, uneven and start breaking apart,” she warned. Dr Foong, who has been studying mangrove swamps since 1996, explained that the thick column of peat, mud and clay below the swamp is high in organic matter and once disturbed, it is prone to shifting over a long period after development. “Waterlogged and anaerobic peat in the swamp becomes aerobic when drained. Then you get biological oxidation or mineralisation of the organic deposits. That is why the soil will sink,” she pointed out. She said in developed ex-mangrove swamps on the island, such as parts of Bayan Lepas and Batu Maung, there have been numerous instances of buildings sinking and cracking after a few decades and this was due to the slow shifting of the mud and clay below. Dr Foong also urged authorities to look into the operations of over 40 shrimp or fish dugout ponds fronting the land which a developer from Kuala Lumpur plans to build 276 terraced houses, 214 semi-detached houses, 91 double-storey bungalows, two 16-storey blocks of condominiums, two 16-storey blocks of low-cost flats, two blocks of retail shoplots, a school, mosque, community hall and other public amenities. 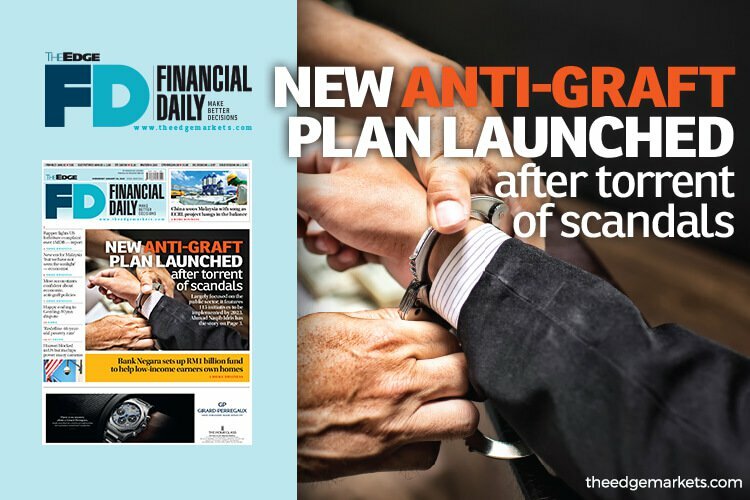 PUTRAJAYA: Amid the slew of financial scandals seen since the change in regime last year, such as the ones involving 1Malaysia Development Bhd, Lembaga Tabung Haji and the Federal Land Development Authority, the Pakatan Harapan government yesterday launched a five-year action plan to stem similar misdeeds in the future. During his opening speech, Prime Minister Tun Dr Mahathir Mohamad pointed to the previous National Integrity Plan introduced in 2004, aimed at inculcating a culture of integrity among the people, which he said did not really help in curbing corruption. 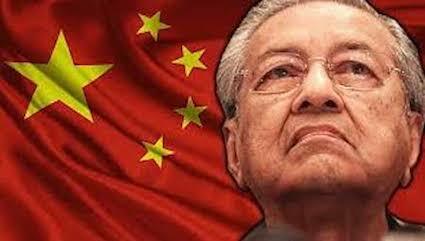 “In fact, the problem became worse between the time the plan was introduced and a few years ago when the country was perceived as a kleptocracy, a very shameful label, which means that the government was being led by the corrupt and thieves that exploited the country and its people’s resources for personal gain,” said Dr Mahathir. “While the new government has taken action to bring the corrupt to justice, subsequent measures need to be taken to ensure the widespread culture of bribery and corruption does not continue. This is the context in which the National Anti-Corruption Plan (NACP) has been created,” he said. In formulating the plan, the government assessed various data, including reviews by the United Nations Convention against Corruption, global anti-corruption models, corruption perception surveys, data from various government agencies, input from stakeholders and the public and recommendations from other entities such as Asean Development Bank and Transparency International Malaysia. The NACP outlines 115 initiatives to be implemented by 2023, as the government looks to root out corruption over the next five years. The plan is largely focused on the public sector, in line with the findings from surveys by Transparency International and the Governance, Integrity and Anti-Corruption Centre (GIACC), which found that about half of Malaysian respondents perceive lawmakers, government officials, local councillors, tax collectors and police officers as the most involved in corruption. Meanwhile, 23% of respondents said they had bribed public officials in public schools, hospitals, utilities services, the police force and courts over the course of a year, while the Malaysian Anti-Corruption Commission highlighted that 63.3% of corruption complaints involve the public sector. “It can be said that the civil service is a segment that is exposed to bribery, especially those that are involved in the delivery of public service and procurement. A study found that civil servants have a lack of understanding of bribery. “We hope that the NACP can improve the image and quality of public service as well as the perception of the people towards the civil service,” said Chief Secretary to the Government Datuk Seri Dr Ismail Bakar. Out of the 115 initiatives, the plan highlighted 22 priority initiatives aimed at addressing six key areas where corruption is rampant, namely in political governance, public-sector administration, public procurement, legal and judicial, law enforcement and corporate governance. Under political governance, the government intends to introduce new legislation on governing political funding which will include an offence on lobbying as well as to implement a proper asset declaration system for members of the administration and members of parliament. Other initiatives include a better policy on acceptance of gifts and the prohibition of the issuance of supporting letters by members of the administration or any highly influential persons for any projects or applications. To address issues in public-sector administration, the government’s plans include the strengthening of the mechanism in enforcing mandatory job rotation for public servants holding sensitive posts and the management of the involvement of senior government officials as directors and chief executive officers of all state-owned enterprises and statutory bodies. A transparent guideline on the appointment of special officers, political, private and media secretaries for ministers and deputy ministers will also be implemented. In terms of procurement, the NACP seeks to ensure that all departments and regulators execute projects based on the advice and recommendation of technical departments such as the Public Works Department and to create accountability and transparency in defining the powers of a minister in legal provisions. For the legal and judicial system, the government wants to promote a clear separation of powers and impartiality, such as the separation of the powers of the attorney-general and the public prosecutor, as well as to prioritise for corruption cases to be handled by judges and public prosecutors who are experienced in such cases. In terms of law enforcement, the key initiatives include the integration of relevant agencies to improve border control and the transformation of the Enforcement Agency Integrity Commission into the Independent Police Complaints and Misconducts Commission to address integrity issues among the members of the Royal Malaysia Police. 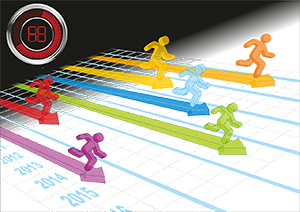 All of these initiatives are expected to be implemented within one to five years’ time with the GIACC acting as the secretariat, evaluating the yearly performance and effectiveness of the initiatives. ‘With a population of 31 million, Malaysia has a ratio of one civil servant to almost 20 people. 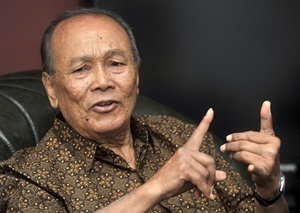 To keep graft in check, politicians should not be appointed to run government-linked companies, said Malaysian Anti-Corruption Commission advisory board chairman Tunku Abdul Aziz Tunku Ibrahim (pic). He said politicians holding GLC positions may face conflict of interest leading to abuse of power and responsibility. In an interview with Bernama, he said: “Many appointments are made for political reasons. If you are appointed to a position with unanimous power, there are decisions you have to make on a daily basis, weekly, monthly and whatever. Tunku Abdul Aziz said this trend of abusing power because of conflict of interest has been happening since long ago, and may be stopped if the appointment for a top post in a GLC was conducted with “proper selection and screening”. Tunku Abdul Aziz said the selection process must include going through the candidate’s background and track record. He said there were always people out there who wanted special treatment, to have the advantage over their competitors. Tunku Abdul Aziz said that proper recruitment procedures and techniques could help achieve transparency and accountability, which are essential for top management. He believes that corruption is now taking place at the operating level. “Ministers cannot sign or award contracts. But directors in some departments can do it. This is where abuse of power takes place,” he said. “If you have no power, you cannot abuse it. Civil servants have a lot more power than their political masters and ministers (in awarding contracts),” he said. He noted that the Malaysian Anti-Corruption Commission was now catching a lot more “big fish” than before the appointment of Datuk Dzulkifli Ahmad as the new head in July last year. Tunku Abdul Aziz said MACC was a dedicated highly professional team focusing on the root causes of corruption while catching the crooks. FINALLY, the Government has itself described the civil service as bloated. To his credit, Second Finance Minister Datuk Johari Abdul Ghani openly and honestly stated that the civil service, although bloated, will not be reduced but will instead be made to multi-task to improve productivity. This statement is serious but also worrisome. We now have one civil servant serving 19.37 people. The ratio is 1:110 for Indonesia, 1:108 for China, and 1:50 for South Korea. We won’t compare ourselves to the low ratio of 1:71.4 in Singapore because it’s a small island with hardly any rural population. But why is our civil service so bloated? Firstly, we recruited rapidly to give jobs to the boys when the output from the education system expanded. We even had an “Isi Penuh” programme at one time. That is we rushed to create jobs and filled them fast! Secondly, unlike the private sector, we rarely retrench staff even in bad times. We hardly sack anyone for inefficiency and even wastage of public funds. Thirdly, the civil service has become a sacred cow that has to be handled gingerly for fear of reaction against the federal and state governments at the ballot box! Life is relatively comfortable especially at the lower levels of the civil service. Salaries are better than before, pensions are secure, health provisions are generous, and the drive to be more productive is soft. In fact, there is now a strong manja-manja attitude towards civil servants. The demand to join the civil service is high but the supply of jobs is slowing down considerably. The Government should decide to reduce the size of the civil service to prevent the strain on the budget deficits, especially in the future. Salary and pension bills are going up whereas productivity is not publicly perceived to be improving. Those who deal with civil servants often tell us more about the undue delays, corruption and “tidak apa” or lackadaisical attitude shown on the ground towards the public. The Government should appoint a high-level task force, if not a royal commission, to examine ways and means of trimming the civil service to an efficient and reasonable size. To start with, the Government should revise its stand on not reducing “the 1.6 million strong bloated civil service.” If it finds it difficult to reduce the civil service, then please freeze recruitment or make it more sparing and definitely more selective. Please go for more quality rather than quantity! The civil service is huge because the public sector has been designed to be inordinately large. This has evolved because the private sector has been denied and deprived of greater opportunities to serve the public. There are many government services, facilities and works and supplies that can be provided more efficiently by the business sector. In fact, this could be the way forward for more bumiputra contractors and other races to participate more actively and competitively to serve our society better. The cost of maintaining the civil service, at RM74bil in 2016 for salaries and allowances, is not sustainable. The pension bill of RM19bil per annum, without any contribution to the GDP by retirees, is also unbearable in the longer term. At the same time, according to Johari, revenue from palm oil and other commodities have been falling drastically. So where do we go from here? It is basic economic and financial logic that we cannot afford to cope with rising salary expenditure and lower revenue. It is much more difficult to raise revenue than to cut expenditure. The Government has said that our fundamentals are strong. Indeed, they are reasonably healthy at this time. But at this rate of a growing civil service that is now acknowledged as bloated, we cannot afford to assume that the economic and financial fundamentals can continue to be strong for much longer. My appeal then is for Government to more actively seek to reduce the size of the civil service and to act without undue delay. Our good economic fundamentals are being seriously threatened and we must preserve and protect them from further risks. IN a recent interview with a vernacular newspaper, Second Finance Minister Datuk Johari Abdul Ghani brought up a matter that is seldom highlighted publicly – the size of the Malaysian public sector. He said the country’s 1.6 million government employees formed “the world’s largest proportion of civil service”. With a population of 31 million, Malaysia has a ratio of one civil servant to almost 20 people. 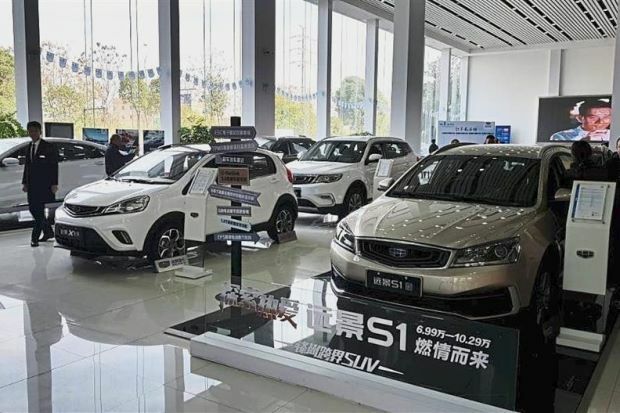 To compare, the news report cited corresponding figures for several other countries: Singapore (1 to 71 people), Indonesia (1:110), South Korea (1:50), China (1:108), Japan (1:28), Russia (1:84) and Britain (1:118). Johari was making the point that a major challenge for the Government was the rising costs of running the public service system. This is particularly tough when there is a decline in the taxes and other receipts collected from the oil and gas and palm oil industries. However, he added that there were no plans to reduce the civil service head count. The minister has won praise for bringing attention to an issue that many have long felt deserves public awareness and discussion. Emoluments are by far the biggest component of the Government’s operating expenditure, and that cost has kept expanding. Back in 2006, emoluments totalling RM28.5bil made up 26.5% of the operating expenditure. A decade later, the percentage is estimated to be 35.7%. To pay its employees this year, the Government has allocated RM77.4bil, which is 36% of the budgeted operating expenditure. And let us not forget the retired civil servants. According to the Public Services Department, there were 739,000 public service pensioners in 2015, and every year, 23,000 people join this group. In 2010, the Government spent RM11.5bil on pensions and gratuities, accounting for 7.6% of the operating expenditure. In the Budget 2017, retirement charges will come to RM21.8bil, about 10% of operating expenditure. Although Johari did not appear to use the phrase in the interview, others were quick to talk about the “bloated civil service”. It should be pointed out that measuring and comparing the sizes of the public sector can be tricky and misleading. There are different ways of defining a civil servant. And the width and depth of a public service system is very much determined by the country’s prosperity and policies. The Organisation for Economic Cooperation and Development looks at public sector employment as a percentage of total employment. 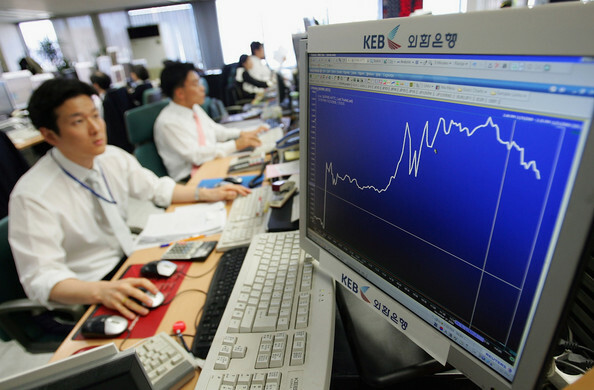 In 2013, the average among its members was slightly above 19%. In Malaysia, civil servants represent 10.8% of our labour force. Perhaps, the public sector is not bloated after all. On the other hand, we must bear in mind that the number of government employees is growing faster than the country’s labour force. But we cannot discuss quantity and ignore quality. The issue here is not about how large our public service system is; it is whether the system is larger than necessary. No matter how big, the numbers make sense if they yield excellent results and lead to robust revenue growth. At a time when the Government is pushing hard in areas such as innovation, productivity and good governance, the civil service ought to lead by example. What is also absolutely clear to us is that the Government’s financial obligations are increasingly heavy, and much of this has to do with the emoluments and pensions it pays. It is realistic to expect the Government to be more prudent in its hiring of new employees. It cannot afford to be the country’s default employer and young people are wrong to blame the Government if there are no civil service vacancies for them to fill. 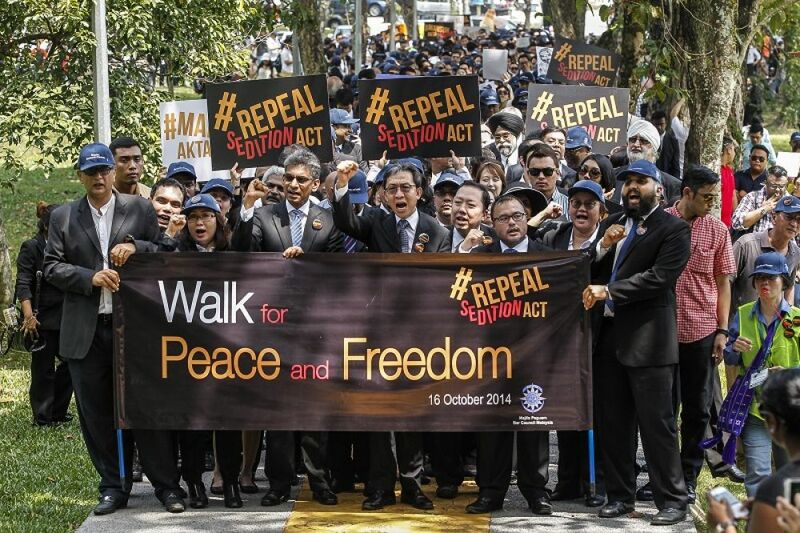 Weeding out the worrying graft and corruption among Malaysian youths and politicians ! 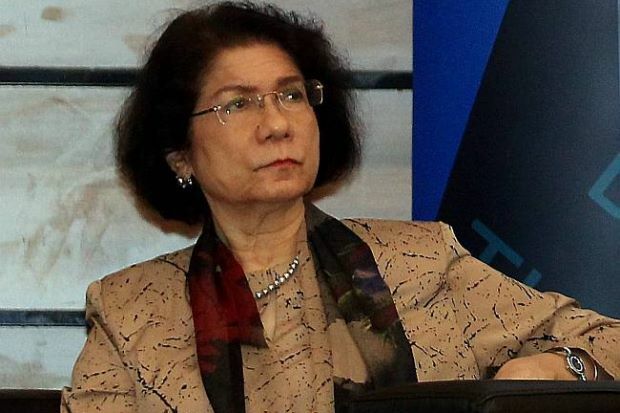 KUALA LUMPUR: The government has to eventually deal with the issue of the bloated civil service to avoid repercussions later on, said Deutsche Bank’s economist Diana Rose del Rosario. “Operating expenditure accounts for at least 80% of total expenditure (in the budget) and a big part of it comes from emoluments which account for 26% of total operating expenditure,” Rosario said at the Budgetary Priorities in a Challenging Economic Environment forum hereyesterday. “The government has actually already tightened spending in this area: it used to grow around 10% year on year between 2010 and 2014. Growth here has since fallen to 5% year on year in 2016 to 2017. “Success has been there in terms of tightening this area but there remains a great need to (further) cut down on emoluments,” she added. Rosario said that the bloated size of the civil service in the country is much higher than the average in the Asean region. “The size of the Malaysian civil service is that there are five civil servants for every 100 people. This is a lot higher than the average in the civil service of the rest of the region with an (average) of around two for every 100 people,” she said. “There is an urgent need for this government if it continues in the path of fiscal consolidation to strive for a lean and efficient public service,” she added. Rosario also said that there may be some “upward pressure” from debt service payments under the emoluments section of the expenditure as interest rates are poised to rise due to the stance taken by the US Federal Reserve. Meanwhile, she also said that the retirement pension charges that are poised to rise by 15% next year should be looked at from a wider perspective. “Although we are not worried that it is driven by a surge in retirees, but if you look at the pace of growth in the younger population the labour force as projected by the United Nations – the younger ones are expected to decelerate at a sustained deceleration in the next five years,” she said. “This does not bode well for tax collection or domestic demand. There is a need then to boost wages through a boost in productivity to facilitate domestic demand and tax collections,” Rosario said. At the same event, secretary-general of the Treasury Tan Sri Mohd Irwan Serigar said contingent liabilities by the government are backed by sound assets and companies. “There may be some pressure by contingent liabilities by the government but those entities that the government provides guarantees for are all strong and credible ones which can pay off their dues. For example, Khazanah Nasional Bhd, Prasarana and MRTcorp (have borrowed) for their big capital items,” he said. “Although there is pressure but there is no worry in terms of default,” Irwan said. Commenting also on the issue on jobless graduates and productivity, Irwan said that universities in Malaysia should supply manpower for what is needed for the industries in Malaysia. “Some of the industries are too reliant on foreign workers. “We can’t change this overnight and we need more technology here. We should not have universities which do not provide for certain industries that are in demand,” he said. Malaysian Nor Mohamad loved her job with a major Western tech company. But she gave it up after two years, tired of bickering with her parents who felt she’d be better off in the public service. 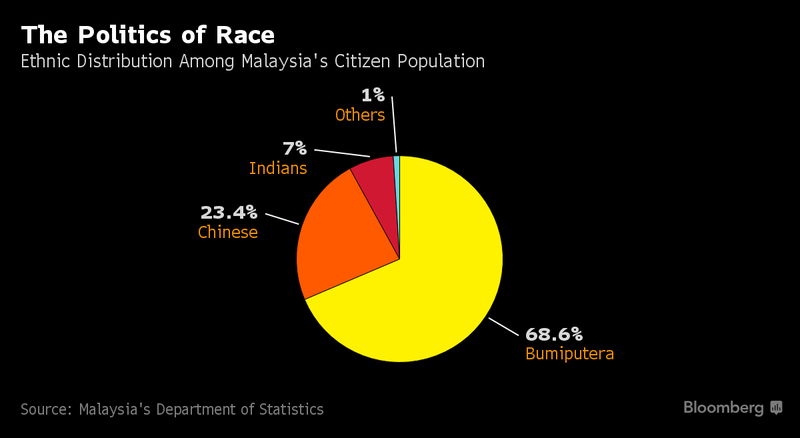 Malaysia’s civil service employs 1.6 million people, or about 11 percent of the labor force. The jobs provide stability and security, including for ethnic Malays who are the majority of the population. Now the bloated bureaucracy presents a challenge to Prime Minister Najib Razak. 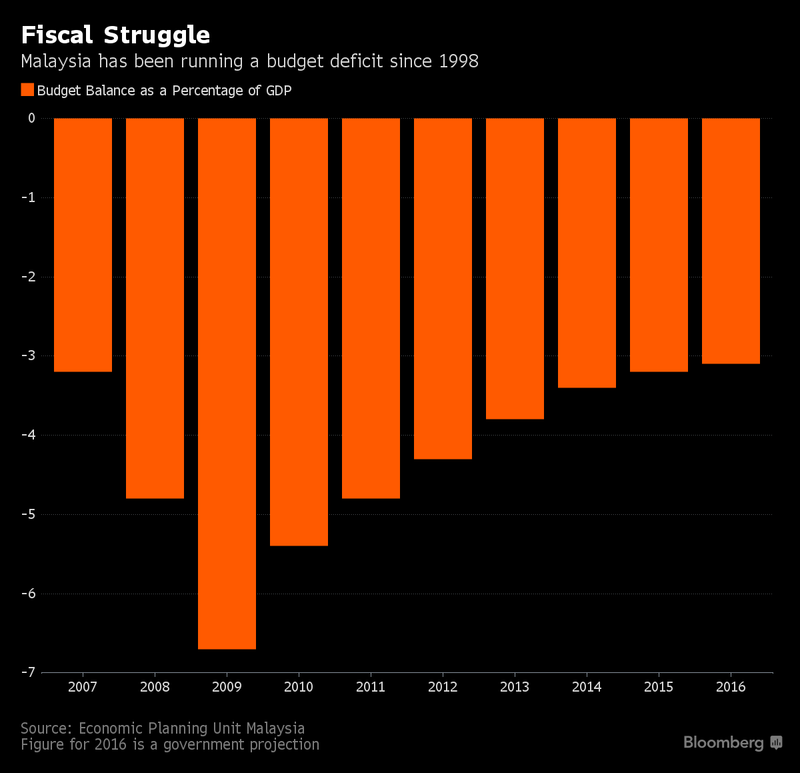 Najib, whose ruling coalition Barisan Nasional has been in power for nearly 60 years with the help of the Malay vote, has pledged to gradually narrow a budget deficit the country has been running since the Asian financial crisis. The commodity-driven $296-billion economy is expected to grow at the slowest pace in seven years in 2016, with lower oil prices eating into revenue. But trimming the public workforce to improve the government’s coffers is difficult. While Najib has survived a year of political turmoil over funding scandals, he needs the support of Malays to win the next election due by 2018. His party, the United Malays National Organisation, has for decades propagated policies that provide favorable access to education, jobs and housing for Malays and indigenous people, known collectively as Bumiputeras. 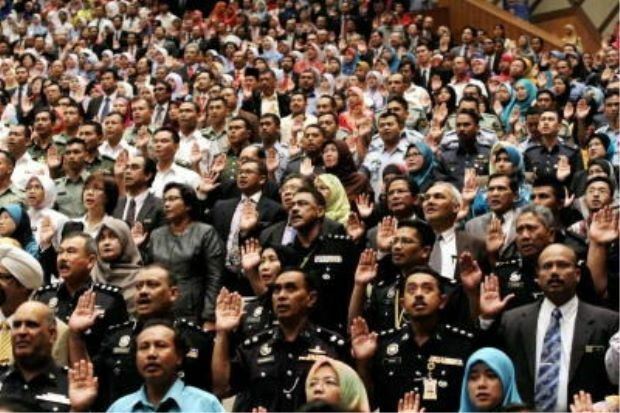 About 79 percent of the civil service was made up of Malays as of the end of 2014, with over 11 percent from indigenous Bumiputera groups, the official Bernama news agency reported in March 2015, citing a government minister. About 5.2 percent of public servants were Chinese and 4.1 percent were Indian. Malaysia’s civil service relative to population is large, at more than double the average in the Asia-Pacific region by some measures, according to Menon. The cost of maintaining it is draining resources at a time government revenues are falling. Salaries, pensions and gratuities account for about a third of the budget every year, the biggest expenditure item. The government doesn’t regularly publish data on the size of the public service. Najib has weathered a year of graft allegations over hundreds of millions of dollars that appeared in his personal bank accounts before the last election in 2013, with the claims putting some pressure on his leadership. He denies wrongdoing and was cleared by the country’s attorney-general earlier this year. Najib’s office didn’t respond to an e-mail seeking comment on the civil service. The office of the chief secretary to the government also did not reply to an e-mailed request for comment. Malaysian officials have previously defended the size of the civil service, which includes teachers, doctors, soldiers and police. Idris Jala, then-minister in the Prime Minister’s office, said in 2014 that it wasn’t bloated even though it could be made more efficient to save the government money. 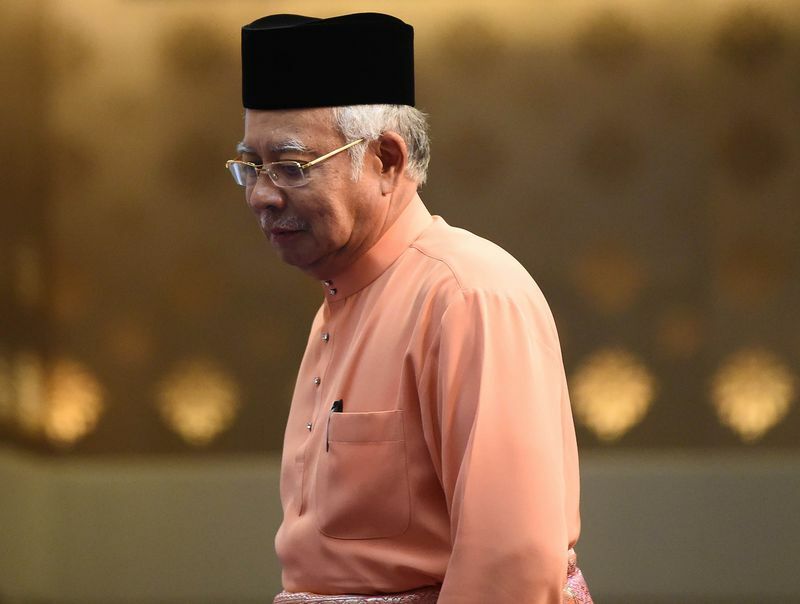 Najib’s government spent 1.1 billion ringgit ($275 million) to raise salaries for civil servants last month — the biggest rise since 2013 — and increased their minimum starting pay to 1,200 ringgit a month. 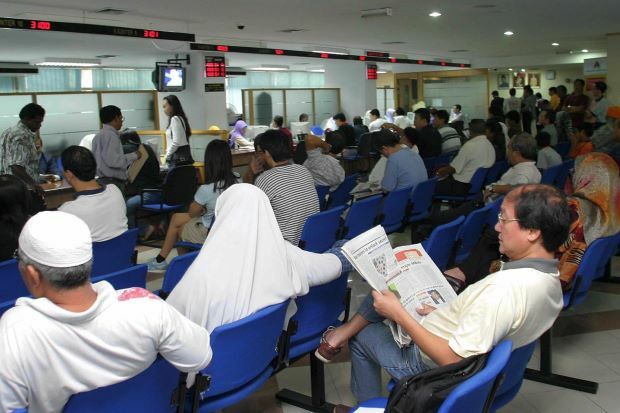 Like in previous years, public employees received a 500 ringgit special allowance just before the Eid al-Fitr holidays in July, a celebration marking the end of the Muslim fasting month. 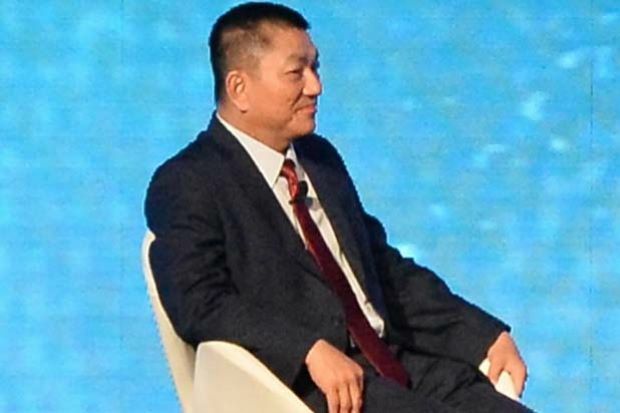 The government has been taking steps to streamline the civil service and improve the efficiency of the public sector as part of its long-term efforts, Chia said. Given that nothing much could be done to the civil service because of political and ethnic sensitivities, the government should focus on cutting its business exposure through the government-linked corporation divestment program to increase revenue, the ADB’s Menon said. While UMNO has worked to retain Malay voters, the opposition has also sought to support the bureaucracy. The opposition-controlled Selangor state government pledged a 1.5 month bonus to its civil servants to mark Eid. In neighboring Thailand, the ruling junta gave the nation’s two million civil servants and soldiers a four percent salary increase in December 2014 at an expected cost of 22.9 billion baht ($659 million). Many civil servants took part in anti-government protests that led to the May 2014 military coup and the junta has since emphasized the need to give bureaucrats greater power over elected officials. 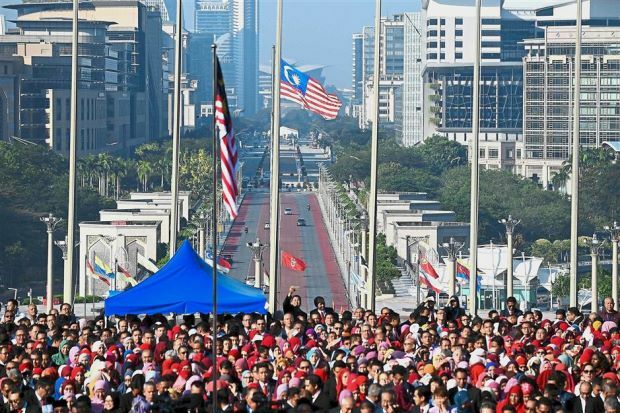 Malaysia world’s No.1 highest civil servants-to-population ratio! Its tenure of service legally vulnerable but notoriously difficult to dismiss! 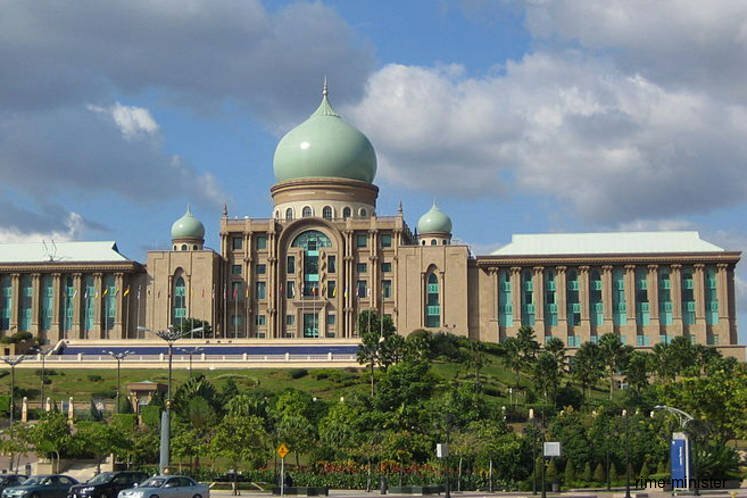 KUALA LUMPUR: One of Malaysia’s former top civil servants has called on the Government to consider downsizing the country’s bloated civil service, while it still can. 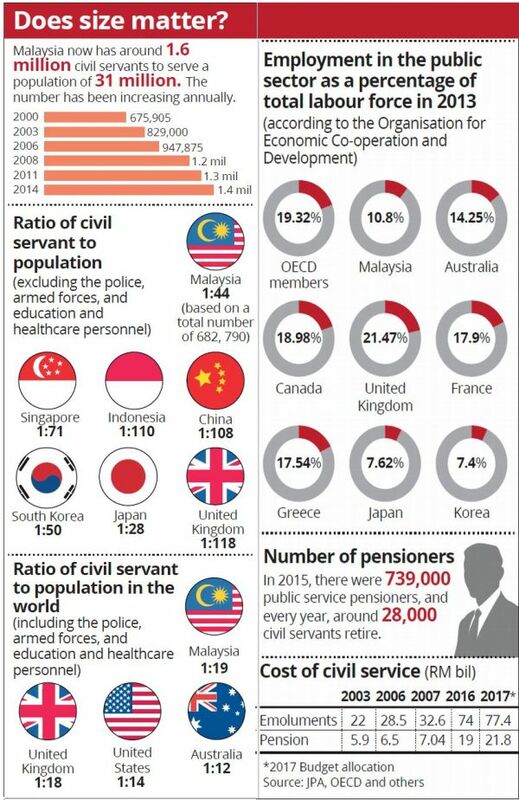 Malaysia has the highest civil servants to population ratio in the Asia-Pacific, employing 1.6 million people or 11% of the country’s labour force. And that could be a problem Malaysia may not be able to sustain if it runs into a financial crisis, said Tan Sri Mohd Sheriff Mohd Kassim, the former Finance Ministry secretary-general and Economic Planning Unit director-general. He said if the Government was really set on keeping the national deficit at 3%, it needed to look at retrenching employees, particularly in the lower levels of the civil service, to cut spending. “Government bureaucracy has grown so big that it’s not only taking up too much resources but creating many failures in our finance economy. 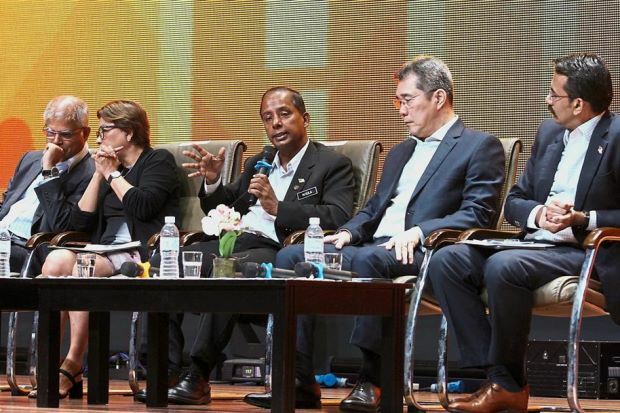 There are just too many rules and regulations that the public and private sector have to live with,” he told a delegation of economists, politicians and government officials at the Malaysian Economic Association’s forum on public sector governance. He advised Malaysia to begin downsizing the civil service, “better sooner than later” if it wanted to avoid running the risk of falling into a Greece-like crisis, where the European country had to cut salaries and was unable to pay pensions for its civil service. Drawing examples from the recent Malaysia Airlines restructuring, where 6,000 people were retrenched, Mohd Sheriff said it was better to let staff go now and compensate them with retrenchment packages while the Government can still afford it. “It may cost the Government a heavy expenditure now but it is worthwhile to do it now while we can still afford it and not until we are forced into a financial crisis like Greece. “We don’t want to be in that situation. I think we should do it gradually. It is kinder to do it now with incentives than to suddenly cut their salaries and pensions at a time when they can least afford it,” he said. Malaysia is expected to spend RM76bil in salaries and allowances for the civil service this year, on top of another RM21bil for pensions. Efficiency and corruption dominated talks on the civil service at the forum, held at Bank Negara’s Sasana Kijang. Mohd Sheriff, who is also former president of the Malaysian Economic Association, said these issues have been around since his time in the civil service decades ago though not much has changed due to a lack of political will. In jest, he suggested Malaysia emulate United States President Donald Trump’s idea on downsizing the US civil service by closing down two departments of the Government if it wanted to open another one. He also suggested that Parliament create a committee to monitor the performance of top civil servants and give them the ability to retrench these officers if they fail to meet their marks. “In many countries, even Indonesia, they have committees to hold Government leaders to any shortcomings on policy implementations and projects. “These are the kinds of checks and balance we need to make our civil servants aware that they are being monitored for their work and they can be pulled out at any time,” he said. Finance Minister II Datuk Johari Abdul Ghani had said Malaysia’s ratio of civil servants is one to 19.37 civilians and that the high number of Government staff had caused expenditures to balloon yearly. As a comparison, the ratio in Indonesia is 1:110, in China it is 1:108, in Singapore it’s 1:71.4 and in South Korea the ratio is 1:50. Despite this, Johari said there were no plans to reduce the number of civil servants. KUALA LUMPUR: Loss of jobs, harm to diplomatic ties with China, damage to the economy plus a RM20bil compensation are awaiting Malaysia if the East Coast Rail Link (ECRL) project is cancelled. 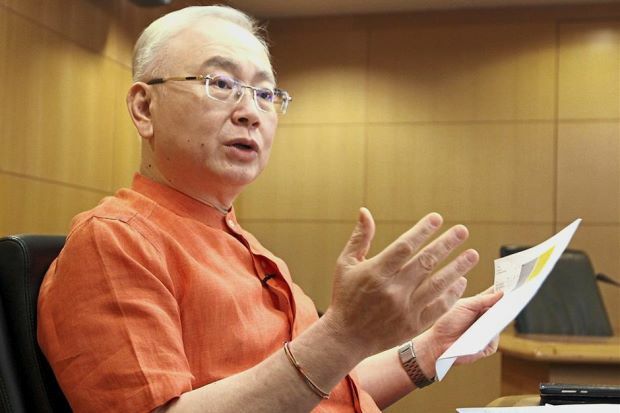 The billion ringgit 688km long track linking Selangor, Pahang, Trengganu and Kelantan is already 20% completed, says MCA president Datuk Seri Dr Wee Ka Siong on the trail of potential damage if the project set for completion in 2024 is axed now. The Ayer Hitam Member of Parliament who issued an open letter to Prime Minister Tun Dr Mahathir Mohamad and Cabinet Ministers on the matter, said he earnestly hoped the Cabinet can explore the effects of axing the project. The ECRL project whose construction contract was awarded to China Communications, Construction Co Ltd (CCCC) and financed by China is a hot topic in the past few days, and its fate is expected to be made known officia­lly this week. Yesterday, Dr Mahathir said Malaysia will be “impoverished” if the government proceeds with the ECRL project. While not confirming that the project has been scrapped, Dr Mahathir said paying compensation is cheaper than bearing the cost of the project. The cancellation of the ECRL project and the bickering between two Cabinet ministers over the issue has become the talk of the town. I foresee this issue to be a hot topic in the Cabinet meeting this Wednesday (Jan 30). Whether the cancellation of ECRL was discussed in previous Cabinet meetings or not, I earnestly hope the Cabinet can explore the effects of axing this project. Take a moment to consider factors such as the friendship between the people of both countries, jobs and economy, diplomatic ties and the reputation of Malaysia. On the bilateral relations between Malaysia and China, I can safely say that putting a stop to the ECRL project will harm the diplomatic ties between Malaysia and China. If we put ourselves in China’s shoes, we will surely respond negatively as well if our overseas investment is treated as such. A nightmare looms should China take any retaliatory action, such as reduce or even halt the import of commodities (palm oil in particular) from us. If that happens, Felda, Sime Darby and other big corporations will be the first to feel the heat. The livelihood of some 650,000 smallholders and their families will be directly affected. From the economic perspective, the ECRL project is likely to boost the GDP growth of three east coast states by 1.5%. It will also spur the development of the east coast, enhance connectivity between the east and west coast, and close the economic divide between the two coasts. Through bridging the rural-urban divide, the overall development of Malaysia will be more balanced and comprehensive. The rail link is 20% completed, with several tens of billions paid to the contractor. On top of that, Malaysia will be penalised for cancelling the RM30bil loan from the EXIM Bank of China. We will have to repay the loan and compensation within a short period of time. From my experience in administering engineering projects, any breach of contract will result in a hefty penalty. The compensation for cancelling ECRL could reach RM20bil. Financial losses aside, scrapping the ECRL will also bring a negative impact to Malaysia’s reputation in the international arena and erode Malaysia’s trustworthiness. Judging from my past experience dealing with China and its officials, as well as the friendly gestures displayed by China so far, I can conclude that China is willing to achieve a win-win solution instead of situation where both sides lose out. The Malaysian government can consider restructuring the project timeline or reducing the project scale, which are alternatives that work in Malaysia’s favour while maintaining the amicable ties between Malaysia and China. The government should also keep the small and medium enterprises in mind. Business owners in 150 related industries, including tens of thousands of contractors who have taken a loan to purchase equipment, will suffer greatly should ECRL be cancelled. China is Malaysia’s largest trading partner since 2009, with bilateral trade figures reaching US$100bil. Business linkages and people-to-people exchanges have also flourished over the years. Products such as palm oil, bird’s nest, Musang King, white coffee, etc, are exported to China, while people from both countries visit each other for vacations and academic exchanges, benefitting Malaysians of all races. All these have contributed to the income of various communities and brought in foreign exchange earnings for the country. It takes years to build a bilateral relationship, and only seconds to destroy it. The Malaysian government should appreciate our friendship with China and try its best to achieve mutual benefits and common prosperity with China. Prioritise the economy and the livelihood of the people, and put an end to the political game to discredit your opponents. Moving ahead: (From left) HRDF board director J. Rasamy Manikkam, GOC chairman Tan Sri Rebecca Sta Maria, Kulasegaran, HRDF board director Datuk Quah Thain Khan and HRDF chief executive Elanjelian Venugopal at the townhall meeting. high-ranking personnel, their exorbitant salaries and bonuses weren’t enough. Greed got the better of them and they treated the fund as their personal bank, helping themselves to some RM100mil, maybe more!! 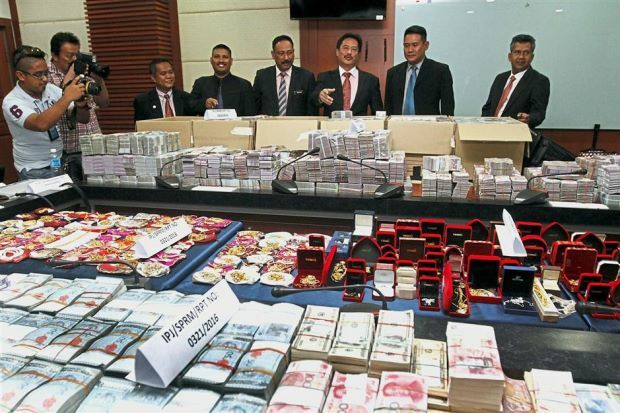 KUALA LUMPUR: High-ranking staff of the Human Resources Development Fund (HRDF) misappropriated about RM100mil or about a third of the RM300mil in the fund. 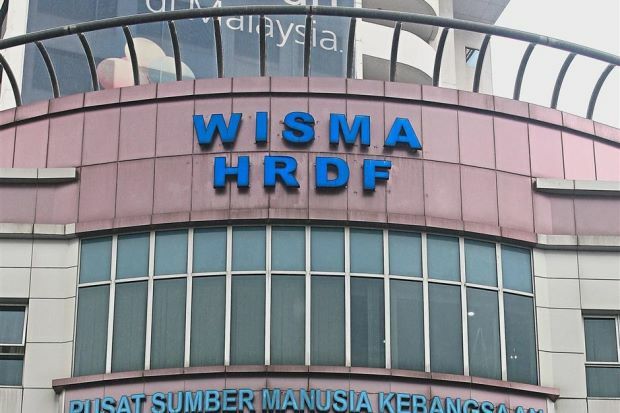 While certain management staff members were overpaid with high salaries and bonuses, some training providers and a number of HRDF management personnel misused the fund in the name of training to purchase commercial properties. Large sums of money were diverted without the authorisation of the HRDF board and there was collusion between managerial staff and external parties to award contracts. Human Resources Minister M. Kulasegaran revealed these wrongdoings at a townhall meeting with representatives of employer associations and HRDF-registered employers yesterday. He said that some members of the HRDF board of directors also did not declare their vested interests to the board. “There have been wrongdoings, such as abuse of duties, criminal breach of trust and exceeding procedure without reporting to the board. “(They were) running (the HRDF) as though it was their own company,” he said. Kulasegaran, who initiated a five-member independent Gover-nance Oversight Committee (GOC) to review and probe the allegations, said that there were elements of fraud in the misuse of the fund in the name of training. The HRDF is an agency under the Human Resources Ministry that manages a fund for human resource training and development that were contributed by employers. Regarding the alleged misappropriation of the fund, Kulasegaran said that the HRDF board was only informed after the money was spent. “Out of RM300mil, nearly RM100mil has been spent,” he said, adding that some department officers, in other instances, also exceeded their authority and approved projects beyond their authorised limit. When asked, Kulasegaran said that some staff allegedly involved in the wrongdoings are still holding positions in the agency, while some had left. “After the Pakatan Harapan government took over, three directors have since resigned. “If they have done anything wrong, action will be taken against them. We will let the process take place. It is not fair at this juncture to make allegations,” he said, adding that two police reports have been lodged based on the GOC report. Not denying that more former and current HRDF staff are expected to be called up for questioning, Kulasegaran said that parties at fault would be pursued through civil and criminal proceedings. “After this, I hope the HRDF management will make the agency transparent and accountable to the public,” he said. Meanwhile, a source that has left the HRDF organisation told The Star that in the week before the townhall, three senior figures within the organisation were subject to domestic inquiries and released from the company. Another three senior members were on contract and when their contracts expired recently they were not renewed. A key figure implicated in the scandal resigned soon after GE14. “Some senior figures have survived, but there is a definite clean-up exercise under way,” said the source. In some cases, those due to leave found themselves locked out of their offices and escorted off the premises by security when they arrived for work. The sources said finance personnel and those in special projects who released funds without going through the proper channels, and those who invested money without any accountability are believed to be among those implicated. “A lack of accountability on the 30% given by companies to the HRDF led to certain figures treating it like a personal piggy bank,” said the source. The source said that a key figure implicated in the wrongdoings used tactics such as poor appraisals and internal audits to try to force out those who spoke out against dubious practices. \Huge Civil Service Size, Attractive Emoluments and Benefits are costing Malaysia !